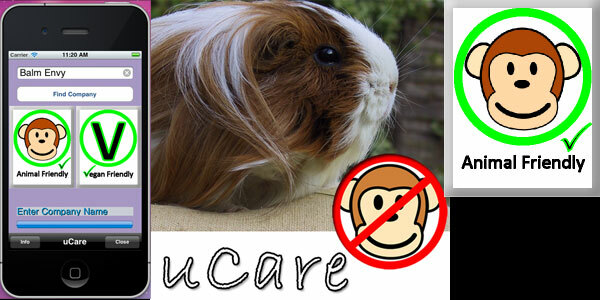 We are proud to introduce our first mobile application uCare Animal welfare app. This uCare Animal welfare app or application allows you to either enter a cosmetics or pet food company name. Then scan the applications database and in an instant find out if that company tests it’s products on animals or not. The application will also tell you if the company is vegan friendly. The manufacturer must also not test it’s products on animals. When you are considering a specific brand of cosmetics or pet food. Firstly run the uCare or iCare application. and the database will be scanned for any potential match. You will then be presented with a short list of companies. 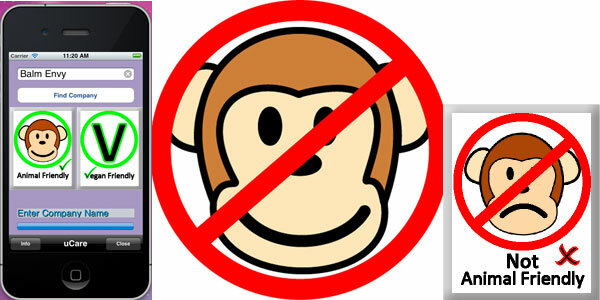 Choose the one you are interested in and you will be instantly told weather the company is animal friendly or not. 1) Using this application will save you carrying around the 30 odd pages of information. 5) If everyone used it, then cruelty to animals would hopefully significantly reduce. 6) force companies to rethink their attitude to Animal welfare. If you find this application helpful please tell all your friends about it.